This is the course you need before moving on to further training. 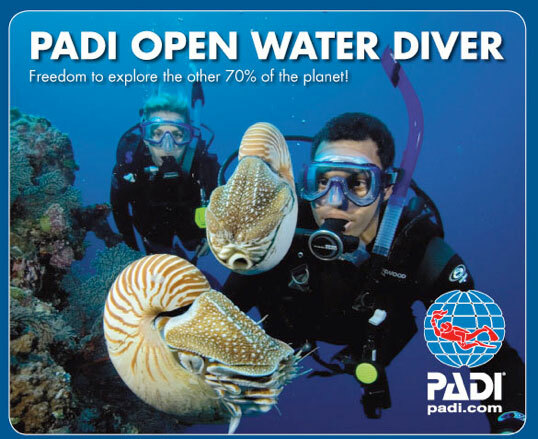 Armed with your PADI Open Water Diver card, this certification is recognised at dive centres worldwide and you will learn to dive safely to a depth of 18m with a buddy. Throughout the course, you'll learn the theory of scuba diving, extend your knowledge of dive equipment and improve your diving skills. The course is made up of 5 theory sessions, 5 dive skill sessions in confined water to practice skills and 4 open water dives. You will also be asked to complete water skills including a 10-minute float and a 200m swim.